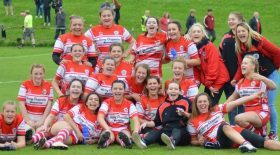 Premiership / A tough day for Bristol Ladies! A tough day for Bristol Ladies! 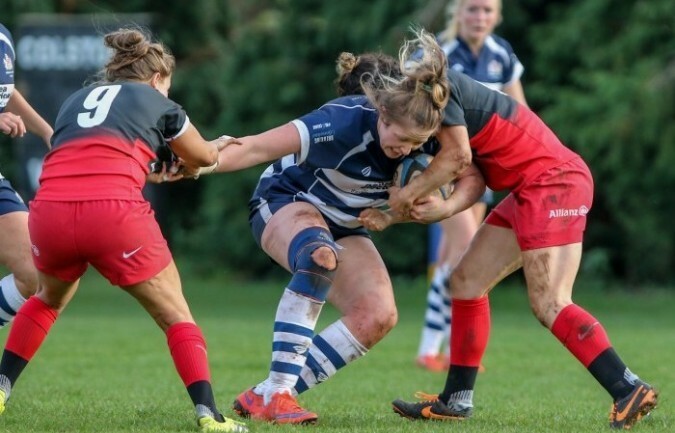 A hard day in the office for Bristol Ladies today, who fell to a 5 – 35 defeat at the hands of reigning champions Saracens. Both teams entered into this fixture knowing that whoever came out on top would finish the day 2nd in the table and in a great place running into the playoffs in January. Both teams looked dangerous when they had the ball, making breaks, turnovers and also making key tackles and vital times. Ex Bristol player Deborah Fleming was fast and aggressive on and off the ball, causing problems for the Bristol defence. Her hat-trick in the first half was due to a combination of that skill and pace. A charge down before just before half time took the score to 0 – 20. Bristol started off well in the second half, with Izzy Noel Smith, Sarah Hunter and Olivia Jones all making breaks and creating chances for the home side. However Saracens took the first score of the second half, with Poppy Cleall getting her second of the afternoon. Bristol came back fighting, as Amelia Buckland Hurry made a storming carry through the Saracens defence, only for the final pass to go into touch. A strong Saracens scrum led to their 7th try of the afternoon, driving over the try line to take their score to 35. Bristol powered on until the end, and Sue Neumann, who came on from the bench, ran a strong line through the Saracens line – offloading to Sarah Bern who dotted the ball down to give Bristol their first points of the afternoon. Final score: Bristol Ladies 5 (1 try) – Saracens Ladies 35 (7 tries). Player of the match went to Kathryn Buggy – voted for by the players.